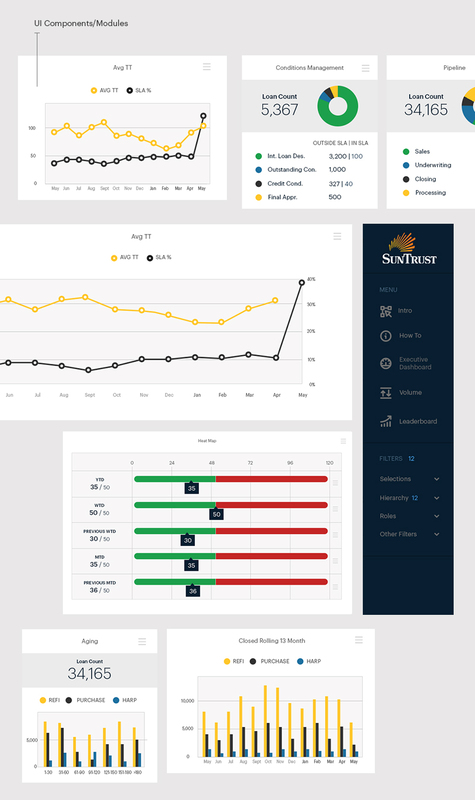 I designed components and brainstormed conceptual ideas for SunTrusts’ BI (Business Intelligence) dashboard. 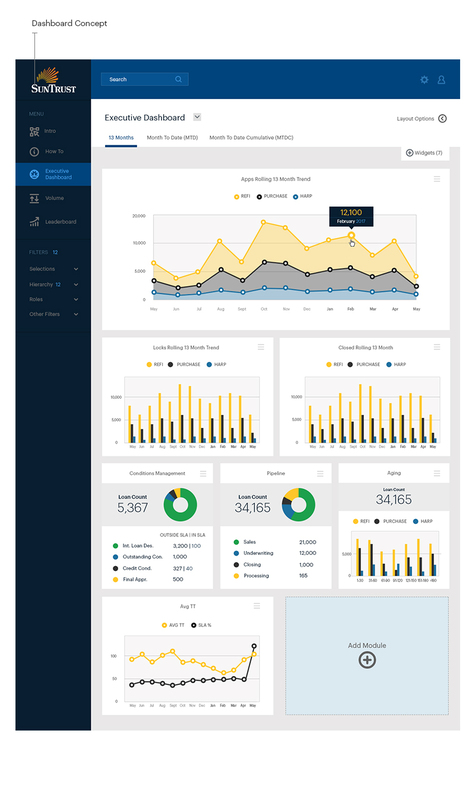 The idea was to make it easy to customize the reports and really make the dashboard personalized to each user’s needs. 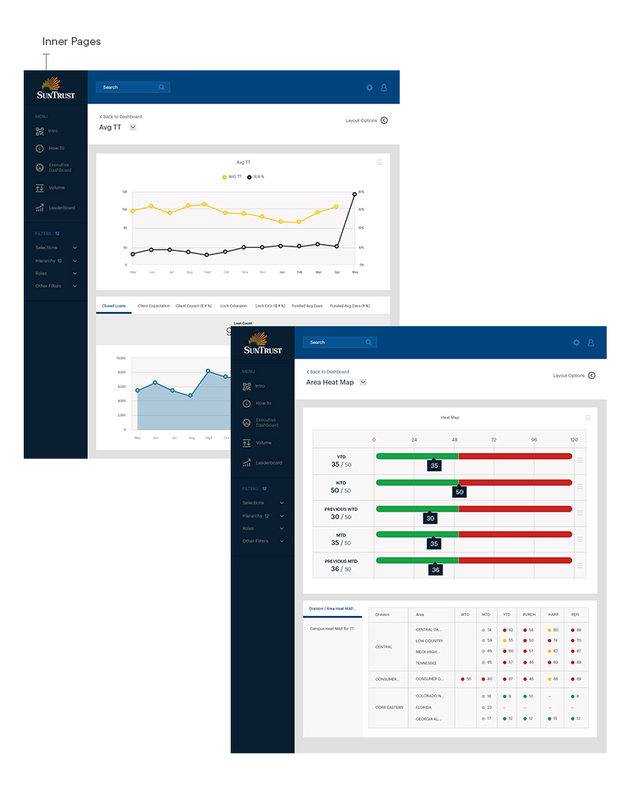 SunTrust commissioned me to re-design the UI for one of their cumbersome BI (Business Intelligence) dashboards. The goal was to simplify and make the UI easy for users who frequently visit and run reports via the dashboard.